coolPixeler (Homepage) wrote: I feel the wind! What a beautiful picture. gavin hart (Homepage) wrote: Wonderful! Love it! I like the low point of view looking up at all the drama and the two lone trees giving scale to the scene. Marcie (Homepage) wrote: Magical!! Fantastic image!!! Terry H. (Homepage) wrote: Looks like the end of the world is coming. Cool shot!! beanow (Homepage) wrote: Fantastic action shot! sherri (Homepage) wrote: Such a uniquely beautiful capture. Laurie (Homepage) wrote: Wow...that is a cool phenomena. Amazing. Nacho Carreras (Homepage) wrote: Impresionante, Saludos. Andy (Homepage) wrote: Wow its like a tidal wave of clouds! Amazing!! 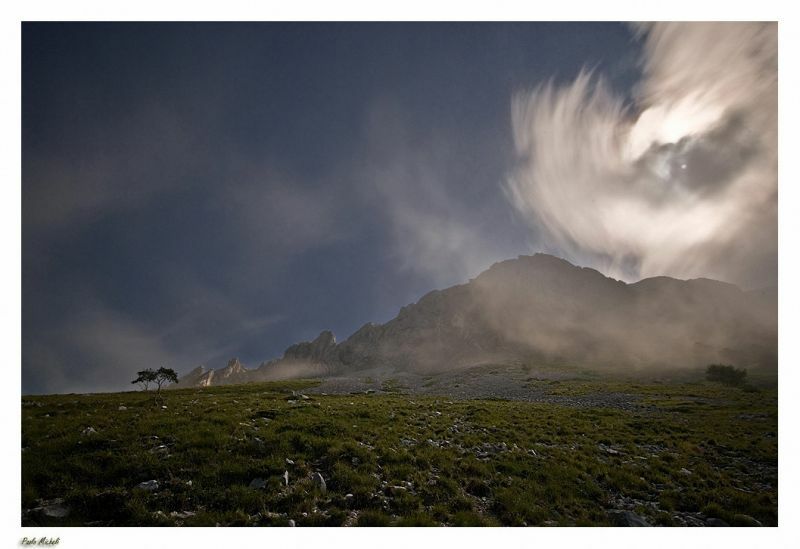 alexandra (Homepage) wrote: An absolutely amazing shot, I really love the play of light and the swirl of clouds. I'd love this one framed on my wall. Beautiful! pernilla (Homepage) wrote: Stunning! Perfect timing on the clouds. Great shot. Mike (Homepage) wrote: Fantastic!!!! How in the world do you find all these great places??? Sabine (foKuspoint) (Homepage) wrote: Very impressive photo. The cloud movement makes it so dynamic.